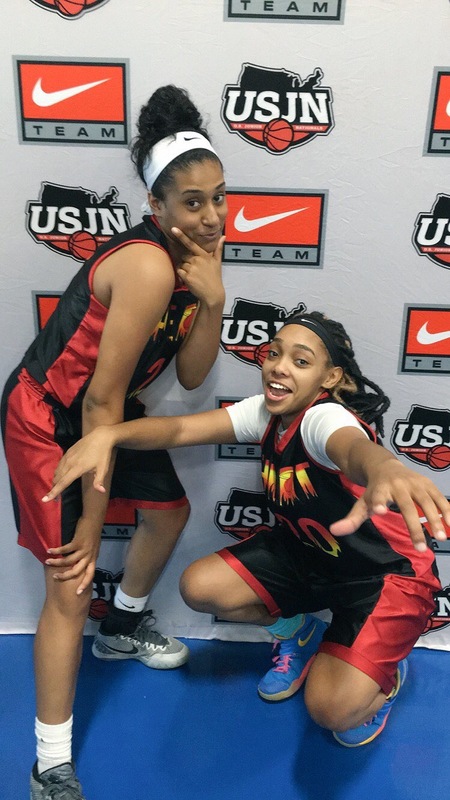 Shout out to Heat Varsity Elite Players Ashlei Lopez(Rockford Lutheran High, Class of 2017, Guard) and Kailyn Strawbridge(Rockford Lutheran High, Class of 2017 PG) for being selected to the USJN Pool All Star Team for the USJN Oktoberfest Tourney held in Waukegan At the end of September. It’s only fitting that these best friends who both recently committed after the tourney to play Division 1 basketball have now ended their AAU career being selected to the All Star Team! Kailyn plays Point Guard and has accepted a scholarship to Loyola University in Chicago. Ashlei plays Combo/Shooting Guard and has accepted a scholarship to Morehead State University in Morehead Kentucky! Both players dominated all weekend playing 6 games! Hannah Malcomson Selected as USJN Allstar! 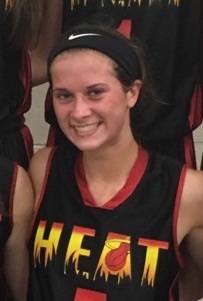 Shout out to Heat Sophomore Hannah Malcomson (Shooting Guard, Rockford Lutheran High School) for being selected to the USJN Pool All Star Team for the USJN Oktoberfest tourney held at the end of September in Waukegan! Hannah is a guard that does a great job bringing pressure defense and helping create turnovers using her quick speed. Hannah played tough all weekend playing 6 games with a rolled ankle and still bringing some high level defense! Hannah showed great range from behind the arc while knocking down some deep 3’s! Hannah Malcomson is a player that all college coaches will want to watch and get in contact with! Ashlei Lopez Commits to Morehead State University! Shout out to Heat Elite Player Ashlei Lopez(Rockford Lutheran) for verbally committing to accept a full athletic scholarship to further her education while playing basketball for D1 Morehead State University! Ashlei will be showcasing her abilities in the Ohio Valley Conference. Ashlei is a Combo Guard/Shooting Guard that can rack up points quick! Her scoring abilities are clear as soon as she starts, she is a left handed player that will set you up with her right and pull a quick crossover to get to the rim or she will easily knock down a 3 pointer! Ashlei has racked up multiple accolades with many All Star nods from USJN tourney’s including the Nike National in DC this past July! Ashlei picked up offers and heavy interest from schools that span from coast to coast before she made the decision. Great Job Ashlei, all Rockford Heat Coaches, Players, Parents, and Fans are proud of you! Kailyn Strawbridge Commits to Loyola Chicago! Shout out toHeat Elite Player Kailyn Strawbridge(Rockford Lutheran) for verbally committing to further her education while playing basketball for Loyola University Chicago! Kailyn will be showcasing her abilities in the Missouri Valley Conference against some great schools and great competition! Kailyn is a dynamic point guard that can get inside of any defense to set up team mates or go for the finish herself. Her shooting abilities stretch out beyond the arc with nice precision from the 3 point line to keep any defense honest! Some of Kailyn’s highlights are being a Big Northern All Conference Player, USJN Pool All Star, and a nice ESPN write up! Kailyn is a top recruit from the Stateline that picked up a lot of interest from D1 and D2 schools! Great Job Kailyn, all Rockford Heat Coaches, Players, Parents, and Fans are proud of you!